Math is not really my girls strong point in school. I love to try new approaches to help things stick so that is why I am so glad that I was chosen to review Professor B Math If you are not familiar with Professor B Math, let me tell you a little about this program. Professor B Math is an interactive Math website designed to help you, the teacher, build strong mathematical foundations for your students. Professor B Math was created by Professor Everard Barrett using his methodology that is conceptual, contextual, and is "as flowing as a story". He states that math should not be presented as fragmented facts to memorize but in a natural story-like sequence. For this review I was provided with the online E-Learning for levels 1-3 and I used these levels with my daughters Mikayla (9), Montana (5), and McKenzie (2). Here is a breakdown for the levels available and what they teach. LEVEL I ~ Pre-k though 2nd graders and remediation of older learners. LEVEL II ~ 3rd grade through 5th grade and remediation of older learners. LEVEL III ~ 6th through 8th grades and remediation of older learners. The decision to not have the Bee speak was intentional. We did not want parents leaving the student at the computer by themselves. If the child answers incorrectly, you would not know unless you are there. This is not a game. This is a teaching program. So, there you have it. This program is a teaching program that is very hands on in that since. You, the teacher, are helping to guide and interact with your child through each lesson, step by step. The entire program is set up with mastery and not grade level as the bottom line. Do you have a struggling learner in the math department. Not a problem! Professor B Math offers a placement test so you can best see where to start your child. Each of the levels be used for remediation for older children by just progressing at a more rapid pace when mastery is reached. Want to know what the best part is? 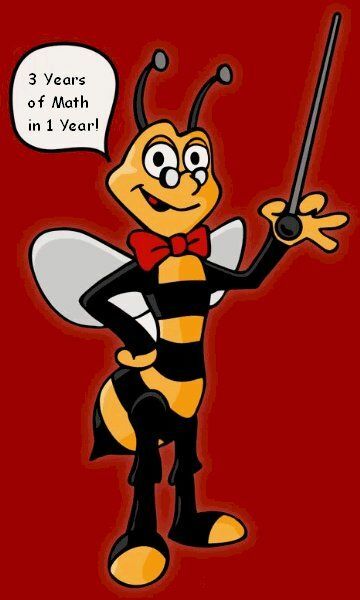 Professor B Math states that each level can be completed in just 10 months! Your child can have total mastery of one level in just one academic year, amazing! So with all these bells and whistles I am sure you think this program costs a fortune. Nope, it is actually quite affordable even in my book. level and receive a free Professor B coffee mug and t-shirt. I will admit at first I was skeptical about Professor B but eager to try it out at the same time. Like I said earlier Math is not all my girls strong point so I wanted to try out something new for my little's and give my older girls a firmer grasp. After using this program for a little bit over 5 weeks I am loving it and recommend it! My little ones, Montana and McKenzie ask for their math time and are “getting it”. While McKenzie is a wee bit young for the program overall we have made it through the first few lessons in Level I. One day out of the blue while she was waiting for her turn to get her nails painted, she lined up the nail polish and counted them out loud all the way to 5. I give credit to Professor B Math for that, thanks!!! Montana is grasping her lessons well too. I love seeing when those sparks are made over those simple everyday math concepts. From setting the table and counting out dishes or silverware or from when I find her counting and teaching her babies to skip count. Mikayla is hanging in this program too, slow and steady. She is my child who has struggled the most this past year in the math department. Nothing major just a little hiccup. She has made great strides in the last 5 weeks with Professor B Math, and I know this will be a great addition to our math program throughout this upcoming school year to help us get back on track for Mikayla. All I can say is that This Program Rocks! Check out what my Crewmates think by clicking on the box below. Also, be sure to check out the free 30 day trial to see if this program would be a good fit for you and your child. ~~~~~~~~~~~~~~~~~~~~~~~~~~~~~~~~~~~~~~~~~~~~~~~~~DISCLAIMER: I received a year subscription to Professor B Math, in exchange for a thorough and honest review. Though I am compensated with free products, I am not compensated in the form of cash for my reviews. The opinions I have given are mine and may differ from others but are not influenced by the company or the free product provided.